Page 24. 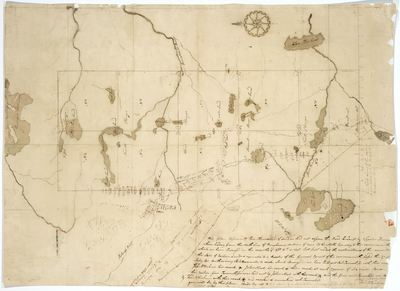 Plan of ten townships of land as laid out upon the road laid out by Charles Turner and others leading from the North Line of Bingham's Million of Acres to the North boundary of this Commonwealth. Plan of ten townships of land in Somerset County.